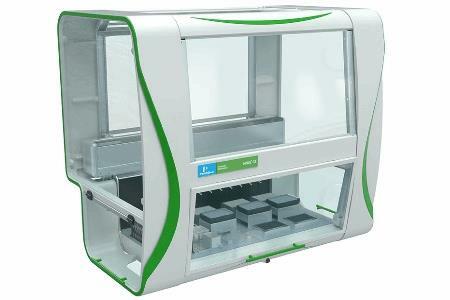 The JANUS G3 Varispan Automated Workstation offers multiple pipetting technologies on a single instrument platform. The instrument consists of a modular platform that expands with a flexible 4- or 8-tip Varispan™ arm, providing an automated liquid handling solution with flexibility in throughput, plate capacity, and dynamic volume range. This is a liquid handling solution that provides real-time and future adaptability in throughput, plate capacity, and dynamic volume range. Automatic switching, within a single protocol, to go from nanoliters to microliters in seconds, with no user intervention. Throughput and capacity easily adjusted and integrated with other accessories or instrumentation for complete “walk-away” automation. For more information on Festo, visit www.festo.com/us.